Nicholas Hytner's production of Verdi's Don Carlo from the Royal Opera House. Based on Schiller's play, it tells the story of the conflicts in the life of the Prince of Spain. 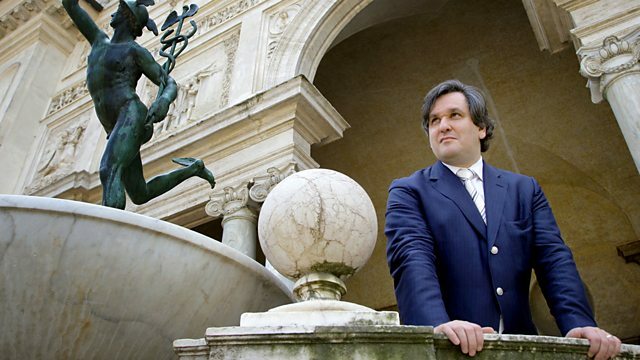 Antonio Pappano, artistic director of the Royal Opera, introduces Nicholas Hytner's production of Verdi's Don Carlo from the Royal Opera House, Covent Garden. Based on Schiller's play, it tells the story of the conflicts in the life of Don Carlo, Prince of Spain after his betrothed Elizabeth of Valois is married to his father, Phillip II, as part of a peace treaty. Rolando Villazon sings the title role and Marina Poplavskaya is Elizabeth. Pappano conducts the Orchestra of the Royal Opera House.